Wine & Restaurant Experience (WRX) 2011 kicks off 17 Nov at the Maritime Experiential Museum & Aquarium at Resorts World Sentosa! 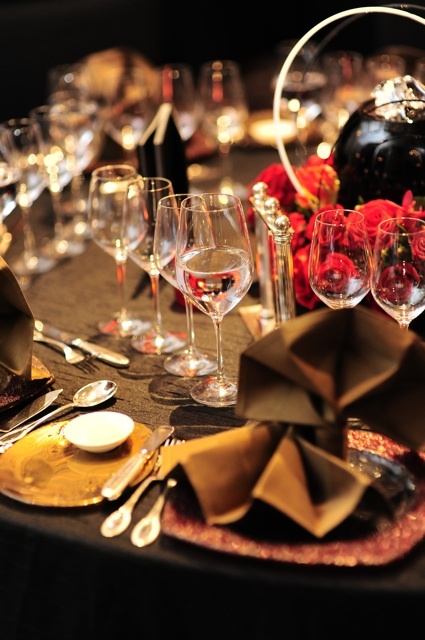 After that, from 21 to 30 Nov, it's a complete festival of fine-dining and fine wines! You can call +65 6270 1254 or register online for the events. I have two Gourmet Tickets to the WRX Wine Journey (worth S$88 each) to give away to readers. The Wine Journey is on 26 Nov (11am to 6pm) with masterclasses, activities, and food from all eight restaurants, paired with premium wines. Just leave a comment and tell me which one of the events looks most interesting to you. I'll draw a winner randomly, so everyone has an equal chance. You can also comment on the Camemberu Facebook page for an extra chance. Closing date for draw is noon, 17 Nov 2011. The winner will be notified via email, so please either leave me a valid email (you can space it out like "m e [ at ] m a i l . c o m" to avoid spammers) or use a Blogger ID that leads me to an email address. Update: Closing time extended to 9pm because at noon I was out to drop off donations for the MINDS Christmas Stocking Challenge 2011. Please check that out too. RESULTS Update: I weeded out duplicates and non-participating comments, so I have 29 from the blog and 14 from the Facebook page, making a total of 43. The winner is PhilPham, from the Facebook section! Congratulations, and thanks to everyone for participating! The WRX is part of The World Gourmet Series gastronomic extravaganzas organised by Peter Knipp Holdings Pte Ltd (PKH), which also includes World Gourmet Summit and Awards of Excellence. I have always been a fan of Champagne and sparkling wine. I will be over the moon and floating like a bubble if I can get into to WRX Launch Soirée. Hope to be the winner and thanks for this giveaway! Thanks M0D, but yours is an example of a Blogger profile that does not have an email contact. Can you add one? Else I have no way of contacting you if you win. Thanks. 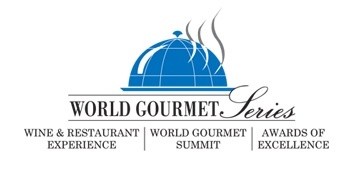 The WRX Gourmet Brunch sounds great array signature dishes from nine restaurants as well as selection of fine international wines!!!! WRX Gala Dinner looks interesting and moreover, it features culinary selections by Awards Of Excellence recipients, from Asian Cuisine Chef of the Year to S.Pellegrino Chef of the Year. There will be opulent dining at the finest hotel in Singapore,the Shangri-la Hotel! Excellent service with excellent dining options! What more can one ask for than to spend an evening with the chefs and the array of wines?? WRX Wine Journey....haven had a bubbly since i gave birth 8 months ago...and good food i wouldnt mind that! Oh the wines, the wines makes all beer drinkers look so silly. The food, the food taste so good you got to have it. Oh brunch are so good, and I want it everyday. I know, I know when I compliment it you wouldn't believe me. But it's so, it's so good that you got to try it. All sound so gooood! I want to experience them all, but if I have to choose one, that will be Italian White Truffle Delight! I've never had a decent truffle dish yet... Wine journey sounds fun, but I am not sure how much can I take or appreciate...haha, nice that they have food (I am looking for CHEESE!) Hope I will be the lucky dog! The WRX Wine Journey looks interesting to me. Thanks! Both the Gala Event and the White Truffle Delight sound amazing. If I had to choose, I'd pick the White Truffle event simply because it's a 3 star chef's singular vision of that meal. Looks interesting! I would love to try it out with my love and share the experiences with my friends! i would love to attend the Italian White Truffle Delight. Imagine having ethereal slices of the elusive white truffles tease your palate and lift the culinary experience to a different dimension.. The WRX featuring Istituto Grandi Marchi Wines sounds amazing!! Definitely the Wine Journey for me! Recently completed a 5days intense wine course in Australia. It let me gain alot of knowledge and interest in wine. Currently deeply in love with pinor noir. The delicate grapes that produces beautiful fruit notes with a slight tannic finish. Best grape variety ever. And it seems like there will be a blind pinor tasting? Can't wait to be a part of it! Italian White Truffle Delight would be my "poison", for sure! all of them are so good. i would love to go the wine journey with my mum to celebrate her retirement. the WRX Gourmet Brunch sounds lke something I would really enjoy. WRX Gourme Brunch!! coz im a huge fan of brunch!! They all look good!!! But if I have to pick, it would definitely be the brunch! Wine! I can just imagine myself drowning in the sea of wine. WRX Wine Journey is all that I want! I would love to go for WRX Launch Soirée. Pick me please! Didn't realize what i posted was wrong! I would love to go to WRX Wine Journey!